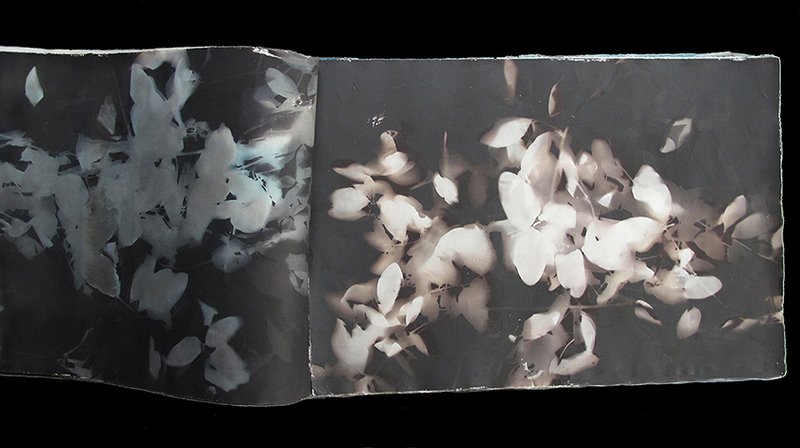 Laura Blacklow; Vanishing Flora, Disappearing Jungle/Las Plantas Muriendo, La Selva Desapareciendo; handmade book. Contributed by Sharon Butler / On the occasion of the Association of International Photography Dealers (AIPAD) sponsored Photography Show that is taking place on Pier 94 in NYC this weekend, I spoke with Laura Blacklow, a Boston-based artist (and once a teacher of mine) who works with alternative photo processes. Exploring the experimental precinct where painting and photography intersect, Blacklow has recently released the fifth edition of New Dimensions in Photo Processes: A Step-by-Step Manual for Alternative Techniques (Alternative Process Photography). I put together a short interview with Blacklow about her art practice and the book project, which is an update of the 2008 edition. So much has changed since then. Sharon Butler: You are a serious artist with teaching responsibilities at the School of the Museum of Fine Arts in Boston. In other words, you are busy. How did you first decide you wanted to write a book? Laura Blacklow; Vanishing Flora, Disappearing Jungle/Las Plantas Muriendo, La Selva Desapareciendo; handmade book, interior pages. Cayanotype and Van Dyke brown print,  from endangered and partially protected plants Blacklow found on the floor of the Mayan Biosphere in Guatemala. The book also explains, from interviews that she conducted with an indigenous herbalist there, how the Maya have used the plants as natural medicines and how we can help preserve the botanic environment. Moreover, she created a page outlining a brief history of the causes of the devastation to the Biosphere. SB: How is the new book, which is the fifth edition, different from your first edition? How is it different from the fourth edition? LB: Each edition adds new processes, fresh information, different art work to illustrate various techniques, updated health and safety precautions, and the latest resources. The fourth edition, which was done 10+ years ago, relied on black and white step-by-step pictures and drawings, all of which were re-done in color for the new edition, and it now contains many more fine art reproductions and new procedures. One chapter I greatly expanded is “Generating Imagery: Analog Method” because I wanted to offer skills, exemplified by the cyanotypes of Christian Marclay, to artists who are not interested in using a digital lab or camera. However, the new chapter on making digital negatives includes everyday methods, like utilizing cell phone imagery, and the instructions virtually hold the readers’ hands. 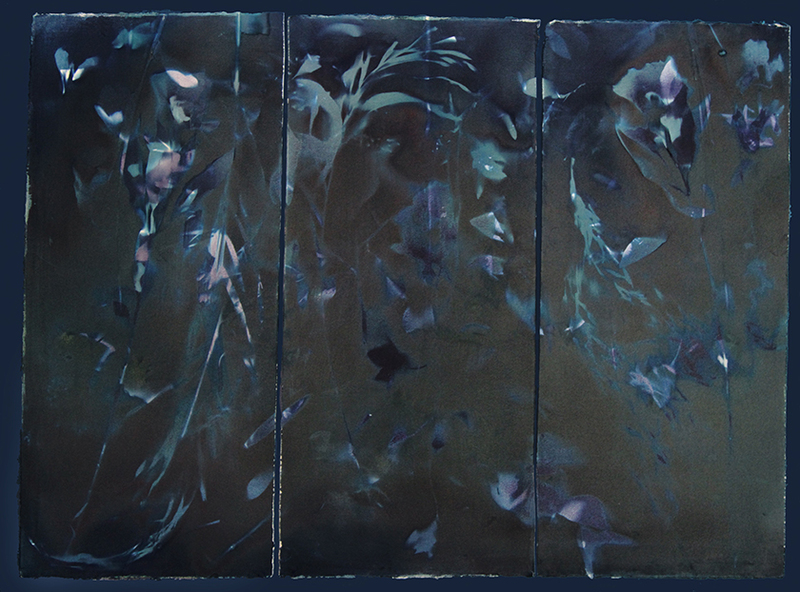 Laura Blacklow; Vanishing Flora, Disappearing Jungle/Las Plantas Muriendo, La Selva Desapareciendo; handmade book,  cyanotype and Van Dyke brown print. SB: When I was a student at MassArt I took your alternative photo processes class and loved it because the course combined the materiality (and for me, sloppiness) of painting with the image-making of photography. I didn’t need to master the world of the immaculate, dust-free darkroom anymore to work with photographic imagery, and it was an exciting revelation. How did you first become interested in these techniques? LB: I was attracted to the sun-printing techniques for the same reason you were! My BFA concentrated in painting, and my MFA thesis was one-of-a-kind books, mainly created with antique photo methods. In graduate school, Bea Nettles and Joan Lyons introduced me to these alternative techniques, and I took to them almost intuitively because I did not love spending many hours in a dark room illuminated by a red safe light, but was attracted to processes I could use in the sun. In addition, I enjoyed using a paint brush, not only to lay down light-sensitive emulsions, but also to make marks and gestures. And I love surprises made possible by experimenting with hand-made photography. Laura Blacklow; A Brief History of Prolonged Combat/Una Breve Historia de Combate Prolongado; handmade book. Van Dyke brown print on sheets made by Combat Paper, which transforms military uniforms into handmade paper. Pictures and text describe the 30-year Guatemalan Civil War and on-going violence aimed at human rights workers and indigenous people. SB: In the book you explain so many different processes—Cyanotypes, Salted Paper Prints, Gum Bichromate Prints, Casein Pigment Prints, Platinum and Palladium Prints, analogue and digital approaches, and more. How do you decide which to explore in your own work? LB: First, I think about what technique best underscores the concept. I ask myself how much detail I need, and I also consider scale, feasibility, and cost. SB: Are there any artists you think are doing interesting experimental work with alternative processes these days? Who? LB: My book is full of artists whose work I admire: Doug and Mike Starn [former students], Binh Danh, Marco Breuer, Eileen Quinlan, Graciela Olio, to name a few. I am particularly interested in art that does not repeat the history of photography, but figures out contemporary statements using the old processes. The best of this type of work is being made by both photographers and non-photographers. 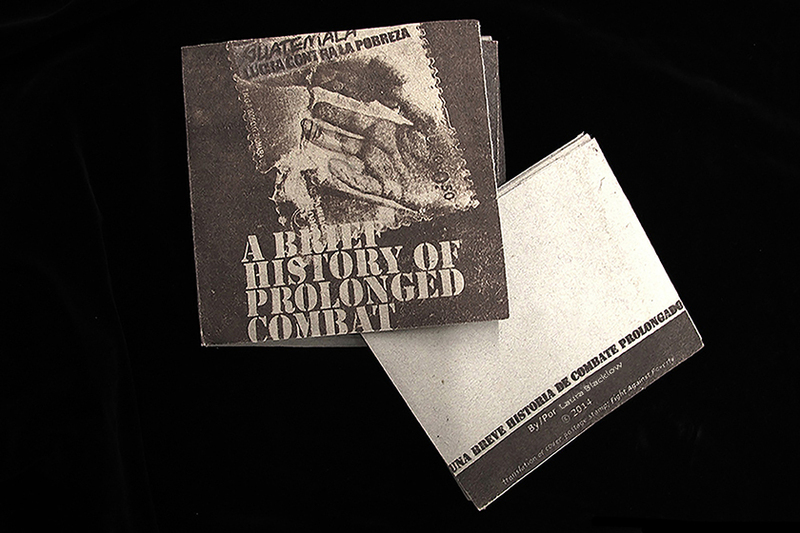 Laura Blacklow; A Brief  History  of Prolonged Combat / Una Breve Historia de Combate Prolongado; handmade book; Van Dyke brown print on sheets made by Combat Paper. New Dimensions in Photo Processes: A Step-by-Step Manual for Alternative Techniques (Alternative Process Photography), fifth edition, by Laura Blacklow. 2018, Focal Press, 360 pages | 326 Color Illustrations. Yeah, Laura! I would like to add that I feel, as the captions to the photos describe, the political aspects of your work speak to these processes, as well. 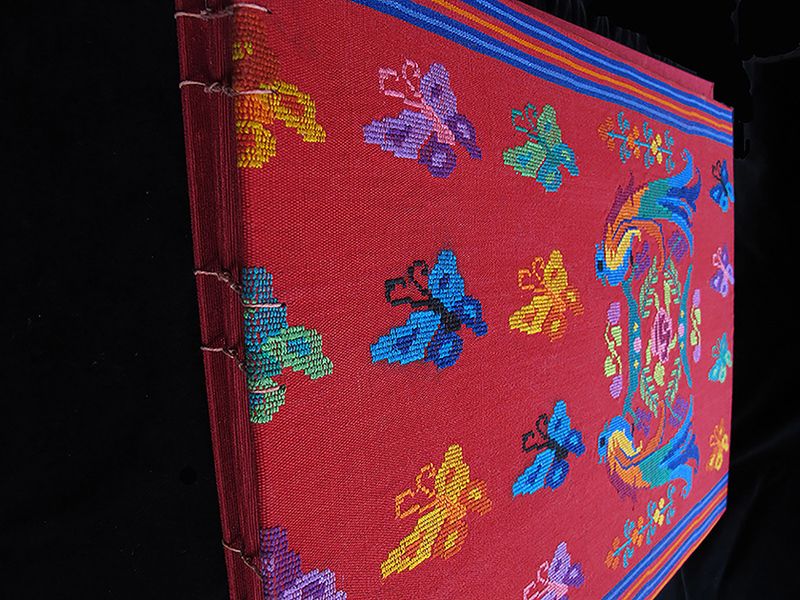 Your dedication to the indigenous people of Guatemala, the Mayans and their incredible culture and usage of natural elements is so much a part of your work.